The fourth issue of this new serial publication reviewed Combat SAR, MASH and CSH field hospitals, combat SAR helicopters and tilt rotor aircraft. The issue looked at the Race2Recovery and Walking With The Wounded teams of military battle casualties who were recovered, treated and rehabilitated to take part in demanding challenges on equal terms with uninjured comptetitors. DESCRIPTION: The series is dedicated to Search And Rescue internationally, across the range of SAR services and including the treatment and rehabilitation of rescued casualties. 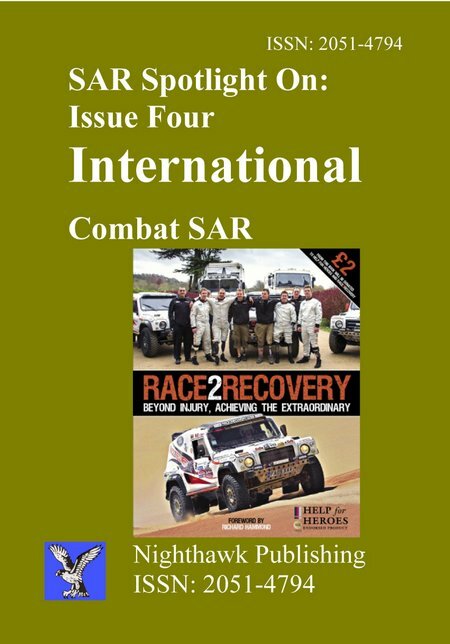 The fourth issue of this new serial publication reviewed Combat SAR, MASH and CSH field hospitals, combat SAR helicopters and tilt rotor aircraft. The issue looked at the Race2Recovery and Walking With The Wounded teams of military battle casualties who were recovered, treated and rehabilitated to take part in demanding challenges on equal terms with uninjured comptetitors.